Nourish your body and soul with Feast’s modern dishes rooted in First Nations food. 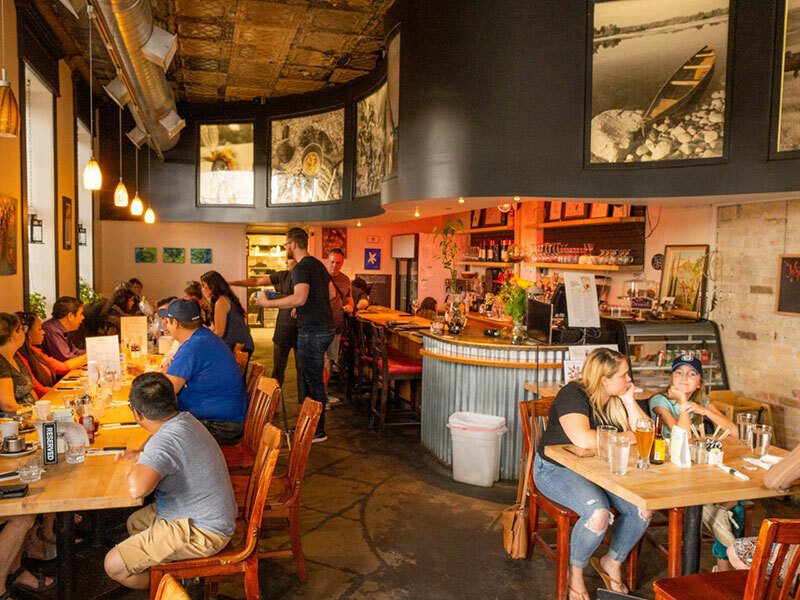 Eat together with friends and family and share stories alongside a delicious and contemporary menu, with hearty comforts like homestyle bison chili, or try the trendy twist on traditional bannock as it becomes the base for elevated pizza options. Immerse yourself in the colour, sights, sounds, and history of Aboriginal People’s Television Network’s Indigenous Day Live. Start the day with a sunrise ceremony, pull up a seat for some traditional storytelling, and get ready to cast your vote in the best bannock competition. 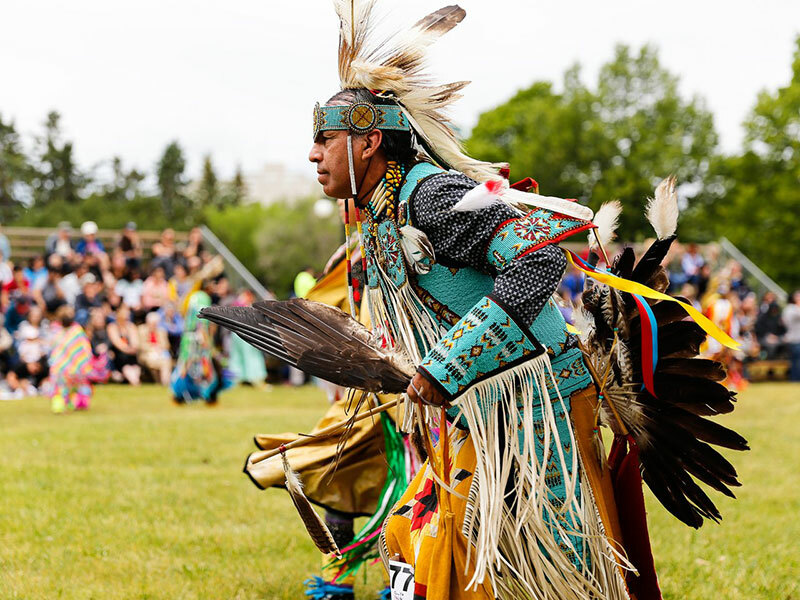 Join hands with your neighbour at the round dance, which is simultaneously conducted in three cities across Canada, before settling in to listen to some of the most recognized entertainers in Indigenous music and television. 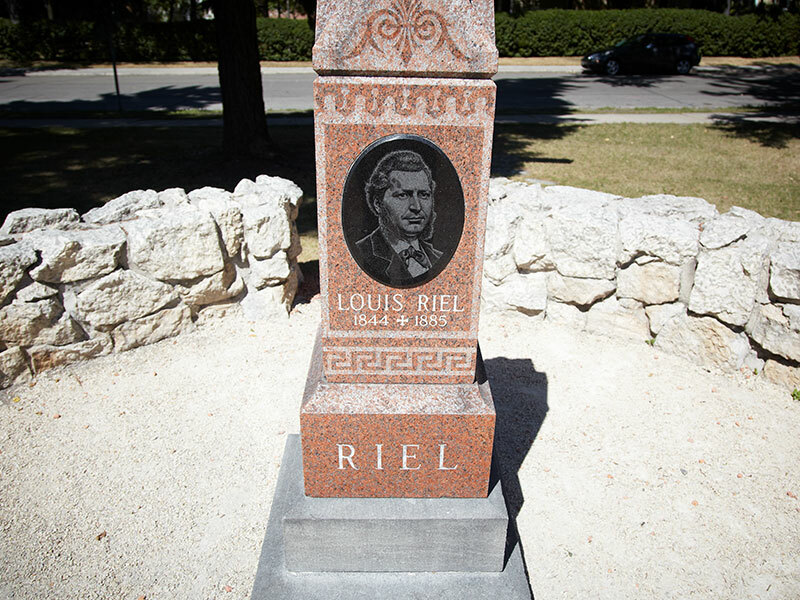 In the heart of Winnipeg’s French Quarter lies Métis leader Louis Riel who is considered to be the founder of Manitoba. 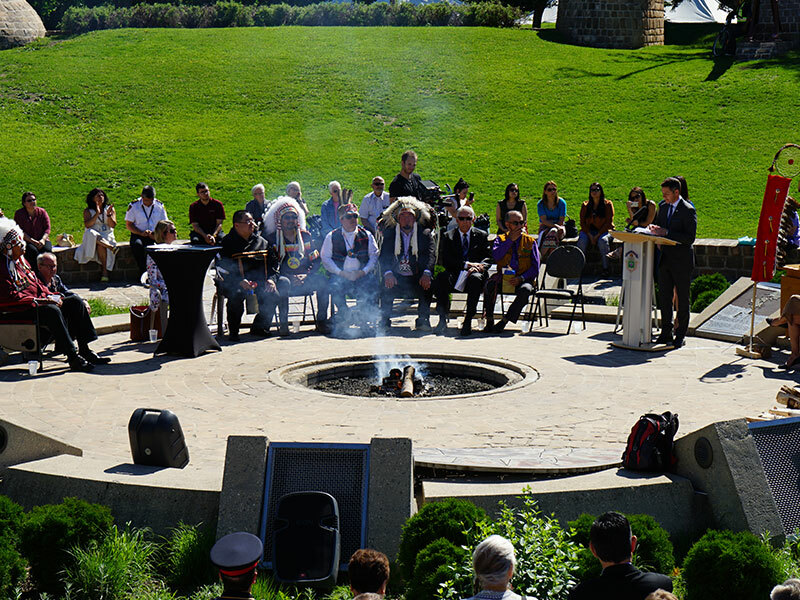 Visit his final resting place set in Western Canada’s oldest Catholic cemetery at St. Boniface Cathedral-Basilica. While you’re there, take in a theatrical outdoor guided tour with Angélique Nolin, Western Canada’s first lay school teacher, whose dynamic character makes this tour no dull history lesson. Be united as one people during this four day celebration of Indigenous culture. 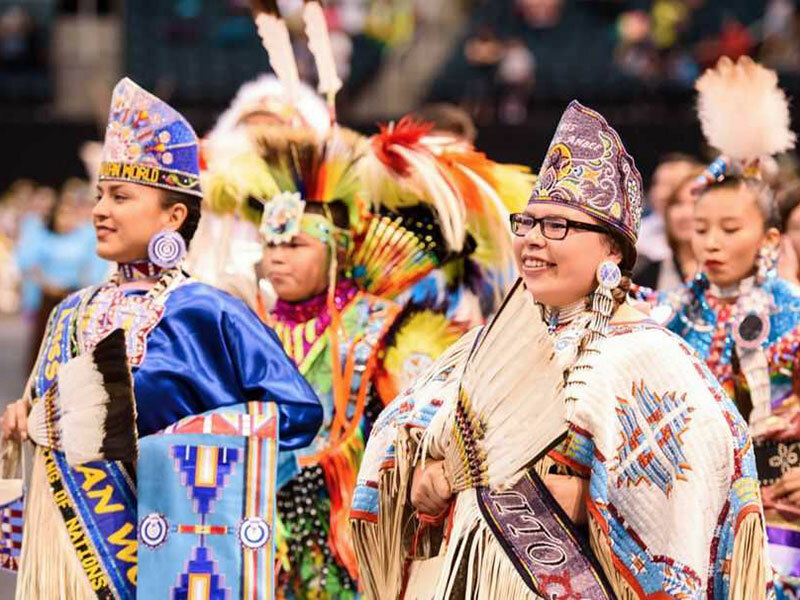 Ignite your spirit and join more than 800 dancers at the Manito Ahbee Pow Wow, a vibrant gathering to revel in friendship. If you’re feeling a little jiggy, tap your toes as the fiddle plays for the Red River jig and square dance exhibitions. 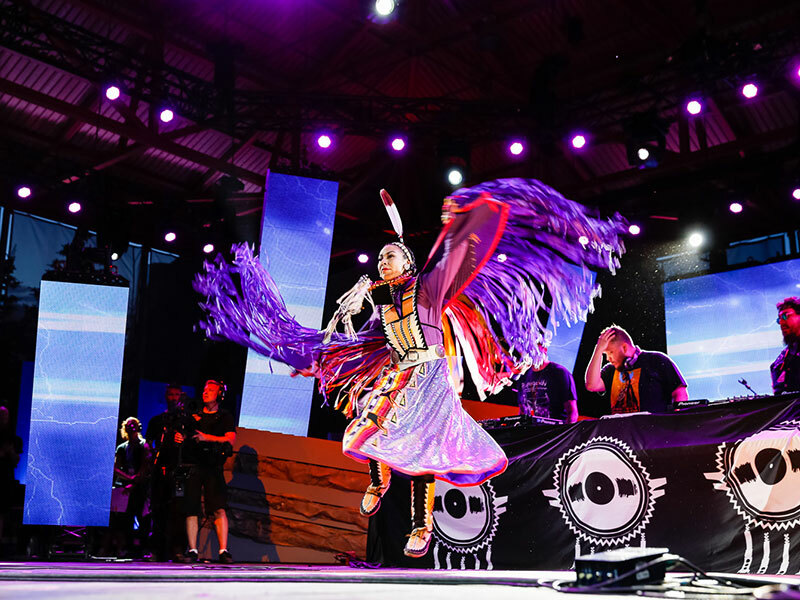 Search for some traditional treasures at the Indigenous Marketplace, cheer for your favourite artist during a live art challenge, and cap the experience off with the high-energy Indigenous Music Awards. Walk in the footsteps of Manitoba’s First Nations people as you explore the gallery-style exhibits. Catch the eye of a wild bison as a Métis hunter gains ground, in a diorama you can’t miss as soon as you walk into the museum. 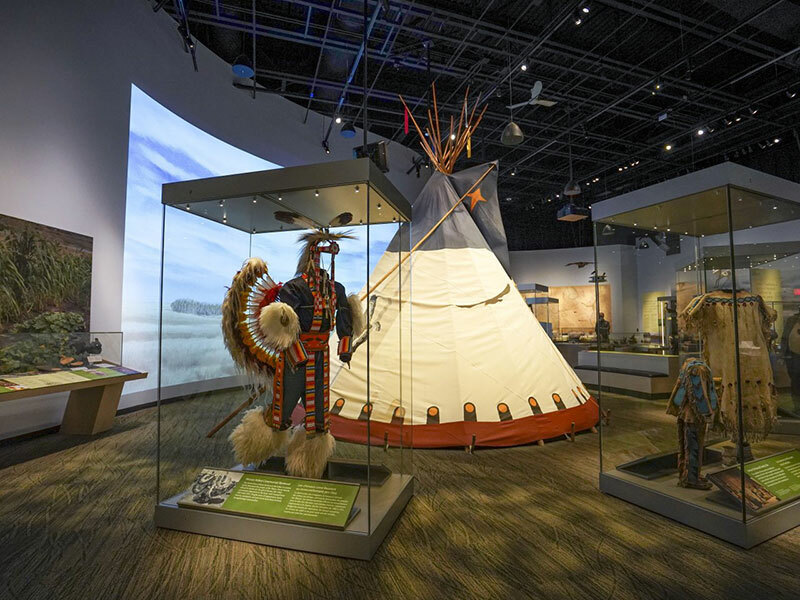 Peek in on a Cree family as they gather food in the Boreal Forest exhibit, view sacred artifacts like pipes and pipe bags alongside the eight Manitoba Treaty medals, and reflect on what you’ve learned inside the Wambdi Wacesta Tipi. Discover the powerful connection between First Nations’ sacred knowledge and the museum’s human rights mandate through this distinct cultural experience. 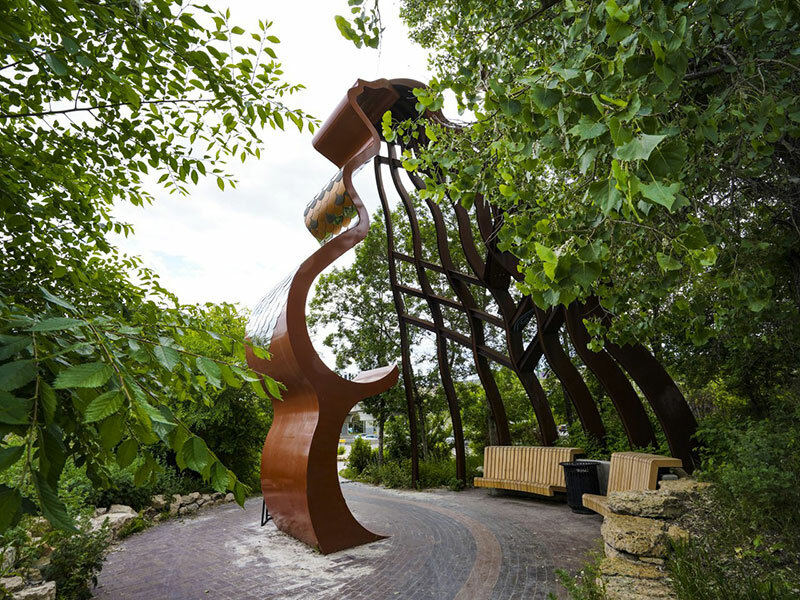 The tour highlights the building’s architecture, traditional storytelling, and songs to deepen your understanding of First Nations’ teachings and perspectives around human rights. The tour is given at quiet times of the day, as to better respect and reflect on the seven sacred teachings and teachings of Grandmother Turtle on which the tour is based. Find a spot on the grass of this natural shallow amphitheatre, which is also a popular gathering place for traditional tribal drumming, dancing, singing, and storytelling. Discover the circle’s sculptures, sundial, interpretive signage, and ceremonial fire pit which pays homage to the 6,000 years of Indigenous peoples in the area. When the sky is dark and the stars are out, stand at the base of the circle and look through the holes in the metal arms which, depending on the time of year, aligns with constellations such as the Big Dipper and Orion. Explore one of the most expressive ways to convey culture, history, human rights, and community - art. 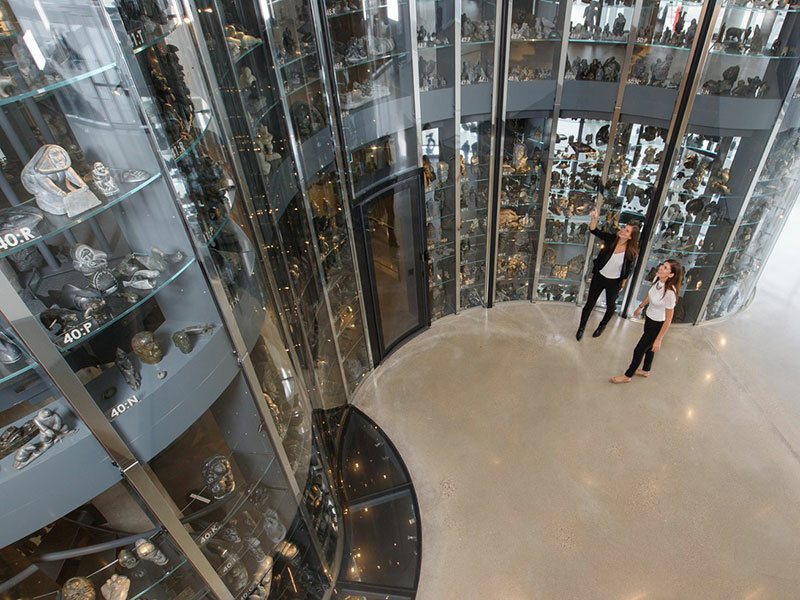 At the Urban Shaman Contemporary Aboriginal Art Gallery, you will be exposed to one of the foremost venues and voices for Aboriginal art in Canada. The Winnipeg Art Gallery holds in trust more than 13,000 pieces of contemporary and traditional Inuit artworks which commemorate generations of experience. As you take in pieces made from walrus tusk, whalebone, tapestry, paintings, and ceramics you will experience each artist’s story through their work. 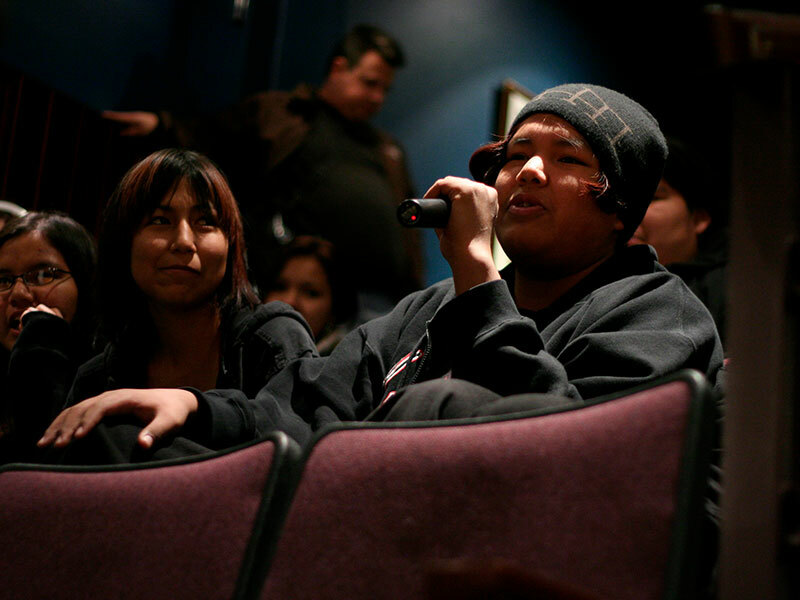 Fall in the love with the colourful, striking, and raw storytelling of leading Canadian and international Aboriginal filmmakers. Settle in for feature-length films, collections of shorts, and thought-provoking documentaries at this three-day festival. You might also find your new favourite director, as the festival often gives young Indigenous filmmakers their first break into mainstream media. Run your hand along a historically accurate York boat and imagine what it was like to travel from Hudson’s Bay to this Red River settlement. 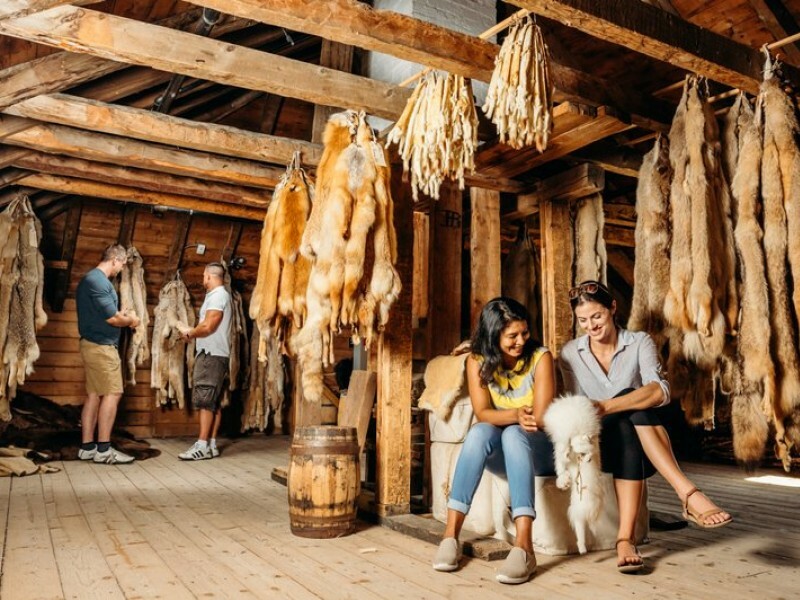 Learn about the Aboriginal communities in the surrounding area, touch the leather goods and furs they’d trade at the Hudson’s Bay Company post, and stand on land where Treaty No. 1 was signed between the federal government and seven chiefs of the Ojibwe and Swampy Cree First Nations, creating the foundation of modern Manitoba.